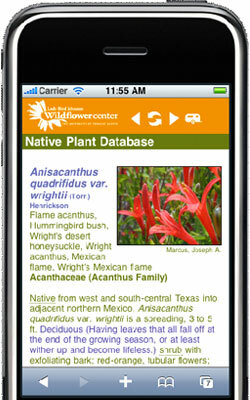 The first place to start your plant search is the Native Plant Database on our website. Select the following search criteria: Texas, Shrub, Perennial, Part Shade (or Shade if less than 2 hours of sun per day) and an extensive list of shrubs (414 of them) will be generated for you to investigate. You can narrow the list by selecting a specific height, foliage type or soil moisture requirements. It is doubtful if you will find a shrub that specifically says that it will detract bugs though. And, often flowering shrubs will be a denser plant and have more blooms or fruit if they are grown in sunnier locations. July 17, 2014 - How/by what is Fendlera rupicola pollinated?